Most actors aren’t known for their generosity. We’ve all heard stories of famous people who are rude or who try to throw their weight around. One actor breaks the mold. Keanu Reeves doesn’t spend his time or money on frivolous things. He’s quietly been funding a foundation that focuses on cancer research and children’s hospitals. Cancer is a special issue for Keanu. He spent years watching his beloved sister fight against leukemia. Because of his experience with the disease, he began using his money to fight back. He’s particularly focused on hospitals that help children who are battling cancer. Keanu doesn’t do it for the attention. He’s never sought accolades for the millions of dollars he’s given to sick children. This is only the tip of the iceberg when it comes to this humble guy’s generosity. Stories abound of him giving gifts and bonuses to the crews of his movies. For example, he takes below-the-line crew members – boom operators, camera operators, production assistants, etc. – out for meals. He’s friendly and kind no matter what the worker’s status is. Keanu also gave a $20,000 bonus to a crew member with family problems. His kindness didn’t end with the money. Keanu made a point of learning everyone’s names on set and saying hello each morning. He treated everyone – cast and crew – as if they were equally important. Well, what do you think about this story? Do you have a favorite Keanu Reeves movie? 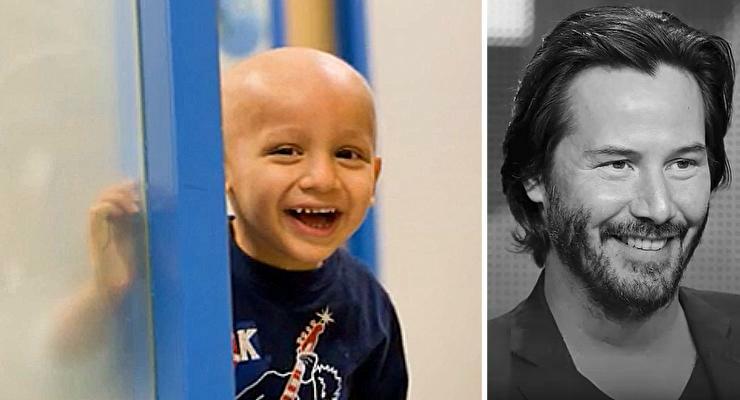 Let us know in the comments and be sure to spread the word about Keanu Reeves’s kindness!